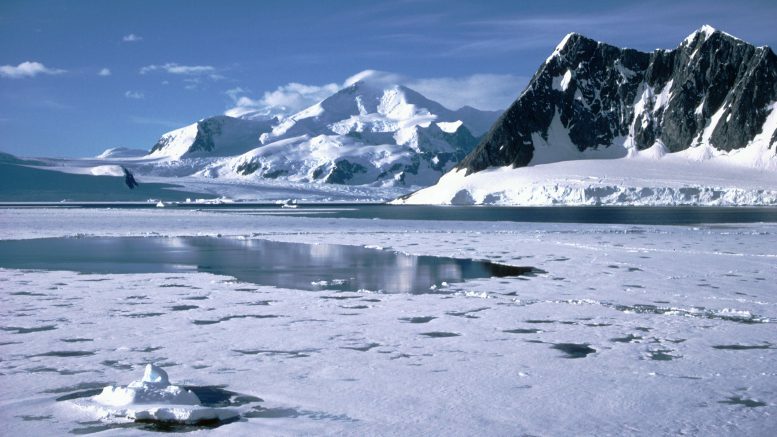 A mysterious and massive hole, with an area of 80,000 square kilometres, has spotted in the winter sea ice cover around Antarctica, scientists say. This opening, known as a polynya, is the largest observed in the Weddell Sea since the 1970s, according to Professor Kent Moore of the University of Toronto in Canada. At its largest extent, this winter’s polynya had an area of open water close to 80,000 square kilometres (km2), he said. Researchers said the event marks the second year in a row in which the polynya has formed, although it was not as large last year. Without the insulating effect of sea ice cover, a polynya allows the atmosphere and ocean to exchange heat, momentum and moisture leading to significant impacts on climate. Ocean convection occurs within the polynya bringing warmer water to the surface that melts the sea ice and prevents new ice from forming. Moore collaborated with members of the Southern Ocean Carbon and Climate Observations and Modelling (SOCCOM) project to investigate these polynyas and their climate impacts. Due to the harshness of the Antarctic winter and the difficulties of operating within its pack ice, there exist few direct observations of these polynyas and their impacts on the atmospheric and oceanic circulation, researchers said. As part of the SOCCOM project, robotic profiling floats capable of operating under sea ice have deployed in the region for the past number of years. Last month, one of these floats surfaced inside the Weddell Sea polynya, providing unique data on its existence, researchers said. With these new ocean measurements, along with space-based observations and climate models, comes the possibility that these polynyas’ secrets and their impacts on the climate may finally revealed, they said. Be the first to comment on "Massive hole reopens in Antarctic sea ice: Scientists"